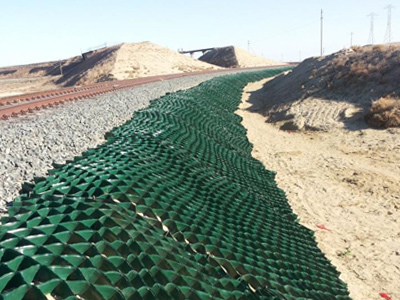 Tenweb geocells are used to protect slopes subject to deep erosion, where a strong soil confinement is needed. 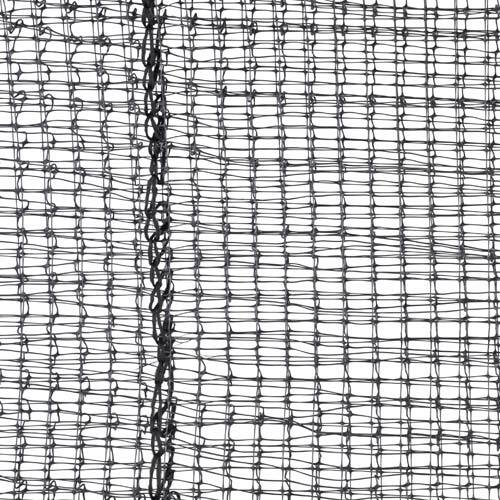 Their honeycomb structure forms a mattress of cells (available in different heights and diameters) and is made by the continuous extrusion of polyethylene (PE). 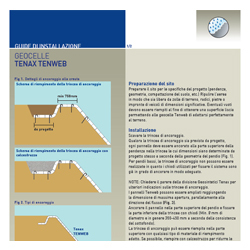 Tenweb geocells can be transported easily, their structure opens like an accordion and can be stored with minimal space requirements. Once installed and expanded to their maximum extension, they must be filled with soil (or pea gravel, or other types of soil, etc.). 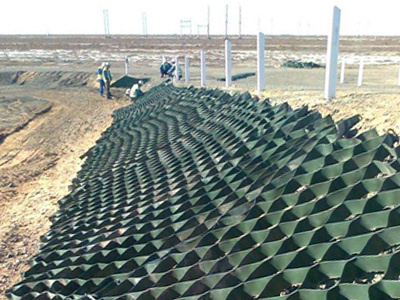 This provides soil confinement that prevents soil slipping and erosion mechanisms. Cells are interconnected through junctions that have a central opening through which water can pass. 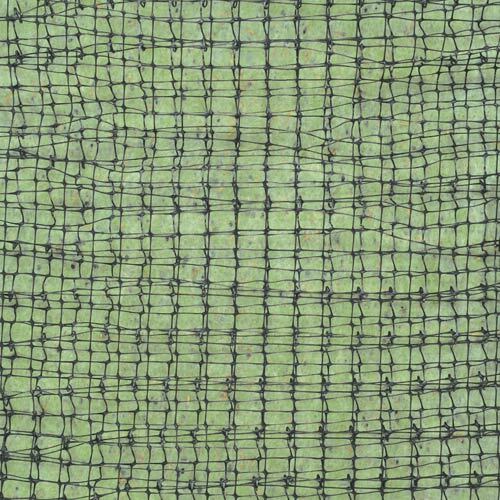 In this way, all the cells are hydraulically interconnected and water can flow downwards without adding weight to the structure. 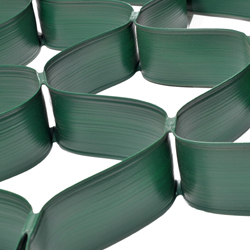 Tenweb geocells are available in different cell diameter and thickness options. 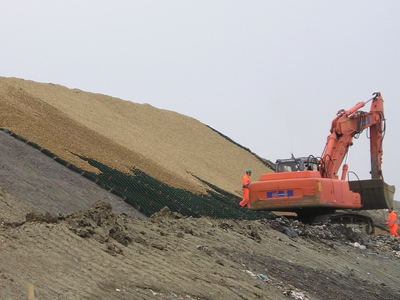 The choice of the right product depends on slope steepness and soil features. The more the underlying soil is inclined, the smaller the diameter needs to be to increase the confinement. 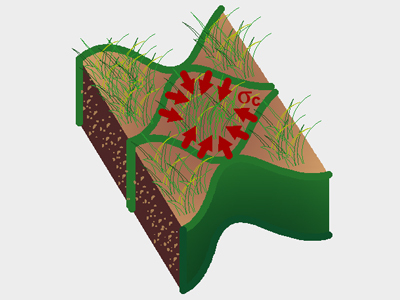 For poor quality soil, cell thickness needs to be increased.